It’s that time of year again; fantasy football playoffs are here. Every manager who was skilled or lucky enough to make it has to face the best of the best to bring home the gold. The end of the season means stepping your game up and looking harder at the matchups and the waiver wire. 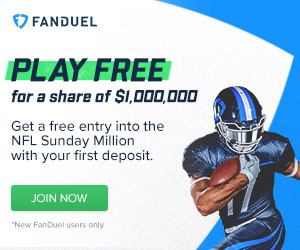 That is where we come in, check out the waiver wire picks for the week and make sure that you roll out the best possible lineup to annihilate your friends and acquaintances. I’m going to celebrate the recommendation of Mariota as he demolished the competition because I know that I’ll take a beating for Cutler and Hasselbeck. Mariota is really starting to look like a future star right now, but for the moment you have to play the matchups with him. Cutler is always capable of putting up a dud like he did Sunday. Hasselbeck may not play again this season or ever, but he had a nice run for a 40 year old backup. Vance McDonald is in the dreaded concussion protocol and can probably be dropped. Chandler is looking like a weekly option given New England’s limited pass-catching personnel. Don’t look now, but the 49ers are playing like an NFL team. The change from Kaepernick to Gabbert has energized the offense and this week they go up against a Browns team that is reeling. The Cleveland defense cannot stop anyone and Gabbert has been quietly effective over the last few games. He even managed 19 points in back to back weeks versus Seattle and Arizona. I’m not advocating Gabbert as an every week starter, but you could certainly do much worse. Winston has been one of the most consistent quarterbacks in the NFL this season, which is a huge surprise for a rookie. He has not yet failed to top 15 points in a game and in six games he has scored 20 or more fantasy points (including 32 points against the Eagles). This week brings the Saints to town and should give Winston an opportunity to showcase his skills. Last week was Mariota’s time to shine and now Tampa’s first rounder will be tearing up the opposition. Taylor has been lighting up scoreboards lately and that trend is likely to continue in Philadelphia. The Eagles did manage to beat a crippled Patriots team, but they still allowed 28 points to a team basically playing a scout team and Tom Brady on offense. Taylor has a couple of elite weapons in Sammy Watkins and Shady McCoy and the Bills are likely to put up some numbers against a weak Eagles team. 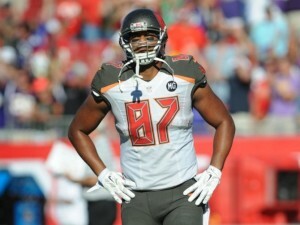 Seferian-Jenkins and the Bucs could come up big in week 14. I know that I have been burned by this recommendation in the past, but he is finally back on the field. Seferian-Jenkins made it through a whole NFL game without getting injured and he’ll press his luck by playing again in week 14. I’m recommending ASJ for the same reason as Winston; the cushy matchup against the Saints. Rodgers will not be available in a lot of leagues, but he is out there to be had for many people. Clearly one of Aaron Rodgers go to targets in many games, Richard Rodgers will continue to put up numbers down the stretch. There are a couple of dud games now and then, but that is the case with almost every tight end. The Green Bay Packers are automatic when it comes to letting tight ends score touchdowns. Since Jason Witten is inexplicably owned in most leagues despite being an awful option, Escobar is the next best thing. There is a good chance that the Cowboys will not score a touchdown in week 14, but if they do it will probably be on a pass to a tight end.